Your book WILL be judged by its cover! – IINSPIRE MEDIA – Do you have a book inside you? Yes, whether you like it or not, people DO judge a book by its cover. Your book cover image will be the first thing people look at when they browse an online bookstore such as Amazon. Research shows that 74% of a reader’s buying decision is based on the cover. Potential buyers will spend approximately 5 seconds looking at the front cover then about 10 seconds reading the description on the back or in the blurb online. If your cover or description don’t hook them in during that time, then you’ve lost a sale and they will move onto the next book. This is why an exceptional book cover design is more important than ever. Without a compelling, eye-catching, high quality cover in a store or a thumbnail image to grab the attention of online buyers, sales will simply not happen. Your book needs to say ‘Buy me!’ It also needs to set the tone for your book and establish you (as the author) and it as the book as a brand. Your book cover is therefore your prime real estate. 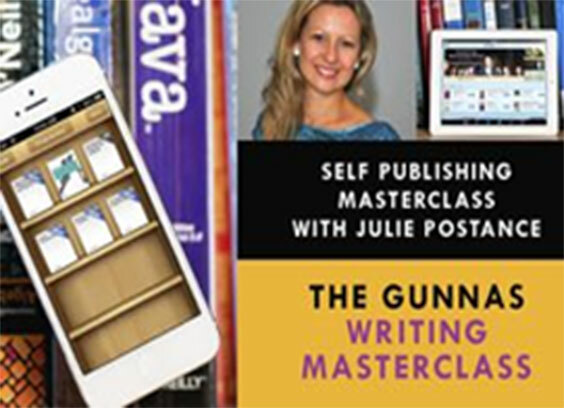 Every element of your cover – your title, subtitle, image, concept and colour – is critical. It can make or break the success of your book. If your book cover says ‘boring’ or ‘unprofessional’ in any way, then the reader will not have much faith in the writing and you are guaranteed to miss out on sales. Which is why I’m suggesting that you get your cover created by a professional cover designer – more on that later. Always use a professional cover designer to get an eye-catching, attention grabbing cover. Professional cover designers know what works and what doesn’t in terms of which fonts to use, the space between elements and what images would work. Keep your cover simple and easy to read for potential readers – remember it will only be a thumbnail size online! Ask yourself what emotions you are trying to get across from your cover and then communicate that to your cover designer. Before you get started on your cover, do some market research in your chosen niche. Go to an online book store such as Amazon, which will have the biggest range of professional looking covers that you will find, type in ‘Paleo diet cook books’ or the subject of your chosen genre, then have a look at the particular covers that come up. 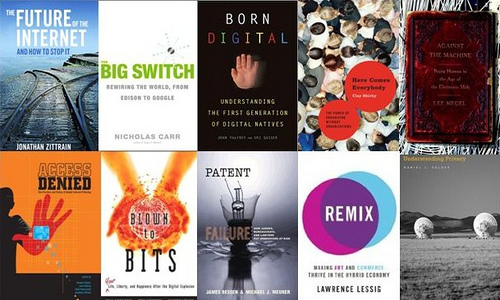 Research winning covers in your niche and use elements from their covers. I don’t mean steal titles or photos, rather model yourself on what works in your genre. You will notice that most covers in that niche will fit the genre and meet the reader’s expectations of that genre i.e. there will be no confusion as to whether the book is a romance novel, thriller, fantasy novel, business or self help book. Thrillers, for example, most often share a strong, bold title and author name with a dark silhouette of a man with a weapon, or a terrified looking protagonist. Romance novels usually have a dreamy picture of a man and a woman locked in a passionate embrace. A mind, body, spirit book usually uses calming images in soft colours, not boisterous colours to inspire peace in the reader. There are definitely books that veer away from readers’ expectations, however, for your own book, try not to make it hard for your readers or yourself! You have so little time to convince readers to buy your book before they move on to the next one. Create a cover that eliminates confusion as to what genre this is and you will be likely to create more sales. Have a short, catchy title for your book – 2-3 powerful words. Ensure that your sub-title (if it is a non-fiction book) leaves your reader with no confusion as to what the book is about. Include key words that people would search on Google and Amazon to find a book such as yours. Use just one strong image that grabs the attention of your target market, conveys the ‘essence’ of your book and fits the genre. Too many images, rather than just one, makes a cover appear too ‘busy’ and make it difficult to make out what the images are. Ensure that the image is in the correct dimensions (see below) and that you have correctly purchased or licensed the image or sought permission from the owner of the image and accredited the image otherwise you could land yourself in hot water. Use 2-3 persuasive testimonials on the back cover of your book. Get these from people either who are well known and who have credibility among your target readers or who are in your target readership who can endorse your book. How, you wonder, can I get a testimonial from someone if I haven’t yet had the book published? Simply contact them (via phone or email), tell them that you are just about to publish a book on ‘x’ topic. Ask whether they would read your book or a chapter of your book then if they like it, would they be so kind as to supply you with a written testimonial. Most people are happy to support others and will say yes. Don’t place limits on yourself. Who would most like to see on the front cover of your book? Write a list, start at the top and work down. You never know until you try! Use simple classical clear easy to read fonts (which will improve legibility), not complex, unusual fonts or 3D or drop shadows (which will be hard to read in a thumbnail image). Use fonts that can be clearly seen online. The best book cover uses several fonts – one for the title, one for the sub-title and one for the author’s name. Don’t be afraid of space! Balance the design elements otherwise your cover will look cluttered and confusing. Never use more than three colours. Use colour based on your genre. Increase your font size and use contrasting colours to enhance legibility. It is an absolute no-no to draw your own cover or get your brother who’s ‘brilliant at drawing’ to do it for you. People are judgmental and will judge it harshly. Use only one image! Please please please never put a collection of different photos on your cover – it will make your book look amateurish and ‘tacked together’. One strong image is far more powerful than 3 different ones scrapbooked together. Pay for a professional looking image. You can either hire a professional photographer. Or you can search websites such as iStockphoto.com, Dreamstime.com, bigstock.com or shutterstock.com. They have a vast selection of powerful images that will make your book look professional. They are also reasonably priced and their licence means you can use them up to 499,999 times. Make sure of course that you avoid visual clichés, images that look like stock images. Test your cover on your target readership. It is not enough for you or your friends and family to love your book cover. They are not your target readers. If your target market are teenage girls, show your book cover to teenage girls. If they say your cover looks boring or ‘I wouldn’t buy it’, then show them some book covers in the same niche on Amazon and get them to show you what which covers they like most and what they would read. Then take note of what they say and adapt your cover accordingly. Show your revised one to them and get more feedback until it hits the mark.